While there are many lessons and legal issues involved with the DAPL controversy, the case also raises questions of domestic sovereignty. By instructing the Army Corp of Engineers to forego an environmental review and approve the easement needed to complete the pipeline, we believe the Trump administration has shown disregard for the tribe as a sovereign body. As scholars who have over 40 years of combined experience working with and researching state and local governments, we see this stance having implications beyond this one pipeline. In addition to Native American tribes, the 50 states have independent and limited authority to govern that is separate from and parallel to the federal government’s authority. Yet in the first few weeks of his administration, we’ve seen Trump display a new kind of federalism that does not seriously recognize the sovereignty of other domestic government entities. For example, Trump threatened to “send in the Feds” to take over crime control in Chicago and cut funding from California over the state’s plan to shield undocumented immigrants. These moves reveal a hasty president unbound by the needs, authorities and rights of other people and governments. Trump appears to be satisfied only by obedience. 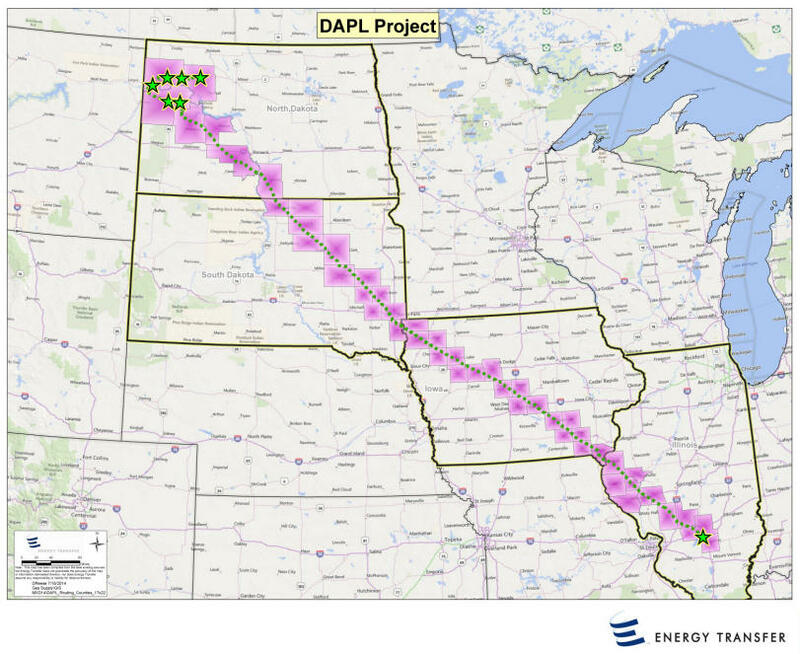 Completion of the 1,172-mile DAPL requires an easement to allow the company building the pipeline to run pipe under Lake Oahe. After hearing the concerns of the Standing Rock Sioux tribe, the Army’s then-Assistant Secretary for Civil Works Jo-Ellen Darcy last year announced the need for an environmental study that sufficiently analyzed alternative locations and the tribe’s water and fishing needs. Tellingly, Darcy found it necessary to respect “our government-to-government relationship” between the federal government and the tribe. Then in a dramatic shift on Jan. 24, Trump issued an executive order telling the Army Corps to quickly reconsider Darcy’s decision. Shortly thereafter, Acting Assistant Army Secretary Douglas Lamont canceled further environmental studies and allowed the project to proceed. Although the controversy over the DAPL involves a variety of laws and jurisdictional concerns, the driver for litigation is the extent to which the United States recognizes the tribe’s sovereignty and the value of governing at a localized level. The tribe has asked for serious consideration of the impacts this project could have on culturally significant resources. Darcy’s Dec. 4 decision recognized that the legitimacy of the regulatory process included providing an opportunity for the tribes to voice their values and that those values could be best understood in a localized context. Trump’s reversal illustrates his lack of regard for such a process. Already, we’ve seen this pattern in dealing with states and cities as well. California, in particular, is likely to test Trump’s tolerance for domestic state sovereignty when it comes to environmental and social issues. For starters, “California Values Act” (SB 54) would essentially turn the state and its over 4,000 political subdivisions into “Sanctuary Cities” and prohibit the use of state and local funds to support federal immigration investigations. On Jan. 25, 2017, Trump signed an executive order condemning sanctuary cities, stating: “These jurisdictions have caused immeasurable harm to the American people and to the very fabric of our Republic.” Trump later demonized California as “out of control” and threatened to cut federal funding if California did not allocate resources to assist federal immigration investigations. Like his demand that Mexico pay for “the wall,” Trump hasn’t shown an appreciation for the limits of presidential powers in sovereign affairs or the benefits that can stem from citizens having a close relationship with their government. Additional critical issues are looming in California that will test the extent to which the Trump administration is willing to exert federal rights. For example, the state is seeking a waiver to set stringent fuel economy standards and enact policies that will provide retirement security for low-income workers, a plan the GOP-led Congress opposes. Trump’s decisions early in his presidency illustrate clear patterns in his approach to leadership and direction on domestic policy. And based on his statements and actions thus far, we can expect Trump to make similar arguments as California and several states and cities prepare to fight for their sovereign powers on this and potentially other issues. San Francisco, for example, has claimed the executive order concerning sanctuary cities unconstitutionally intrudes on sovereignty in violation of the 10th Amendment of the Constitution. This apparent disrespect for state and tribal sovereignty could catalyze conflicts among domestic authorities. State and local governments will likely refuse to fall in line and give up the powers reserved to states and local governments to please Trump. Thus, the size of the sandbox in which Trump administration will operate is fast becoming a battleground. Dissent by tribes and state and local governments is understandable and justifiable. When sovereignty is questioned and when power is centralized domestically in a hegemonic and authoritative rule, civil society loses the benefits of responsive, representative, cooperative and localized government. Citizens are also disconnected from their government and political life. It takes an attentive public and a good president to recognize this consequence as bad.